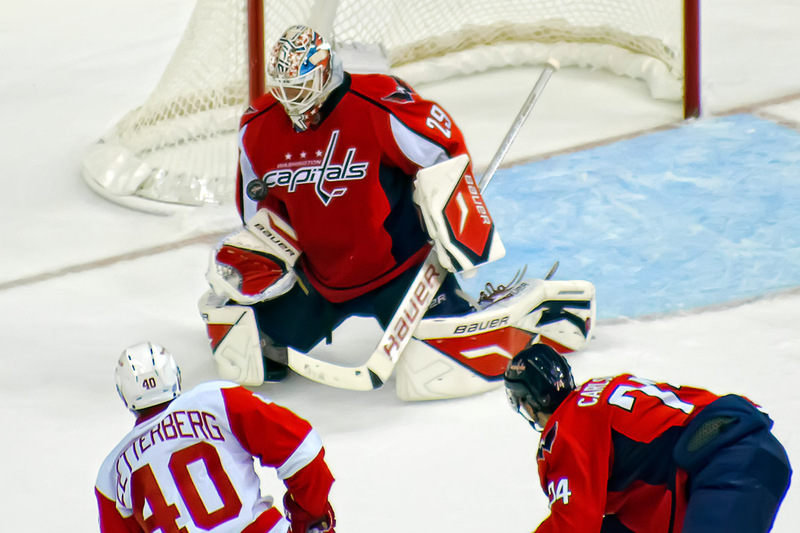 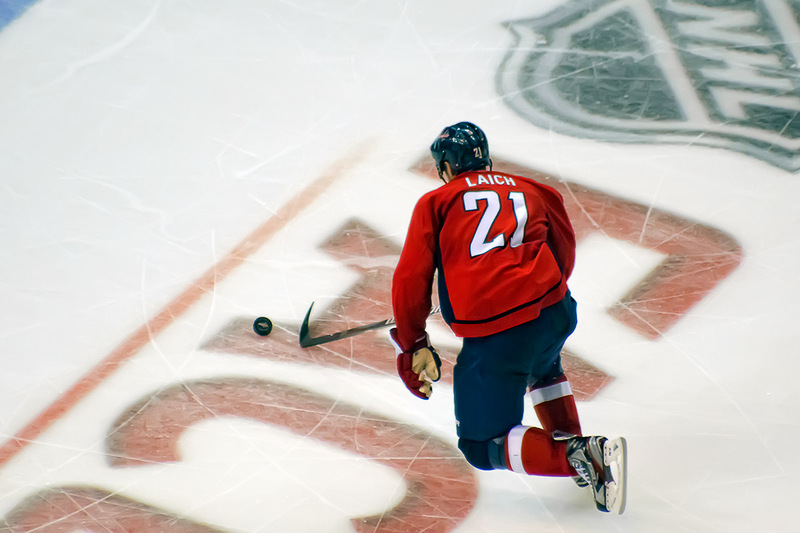 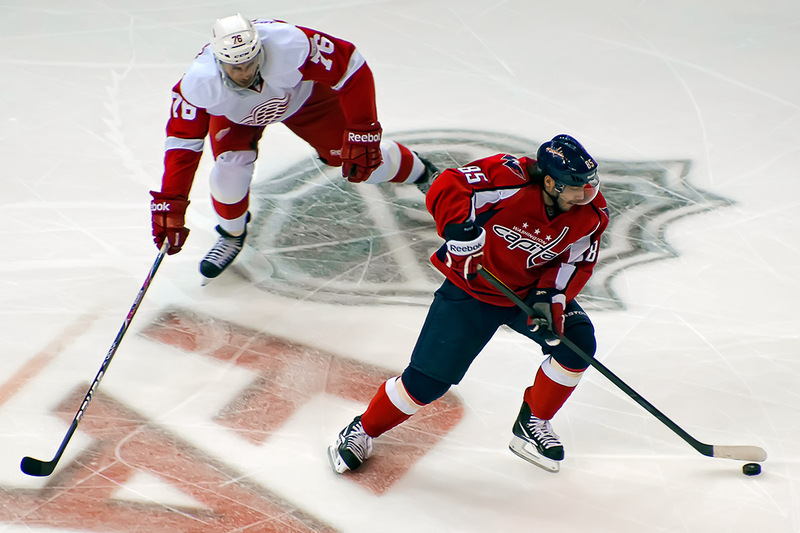 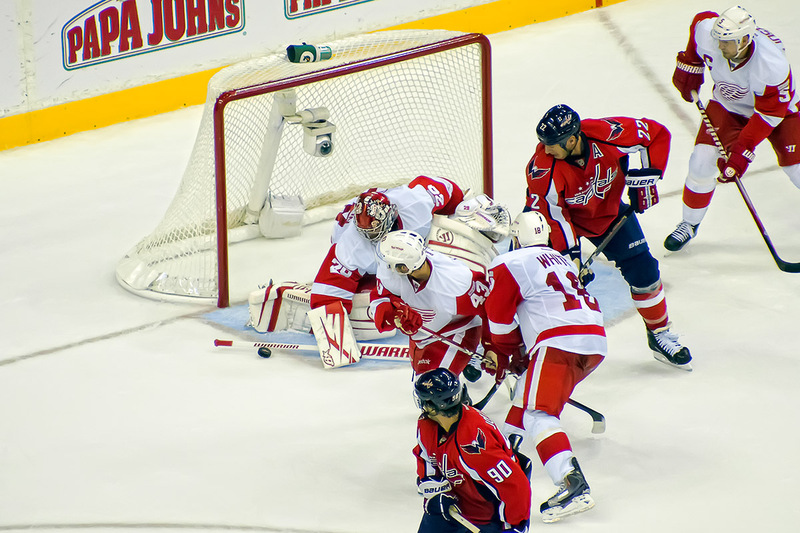 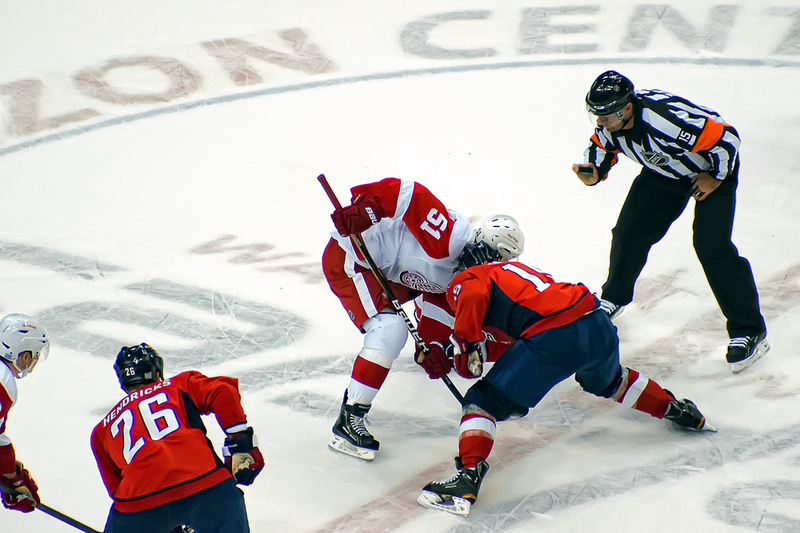 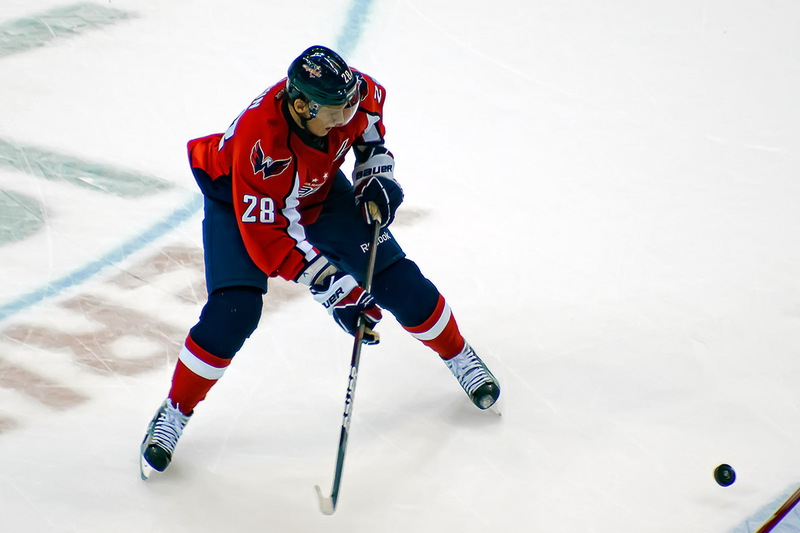 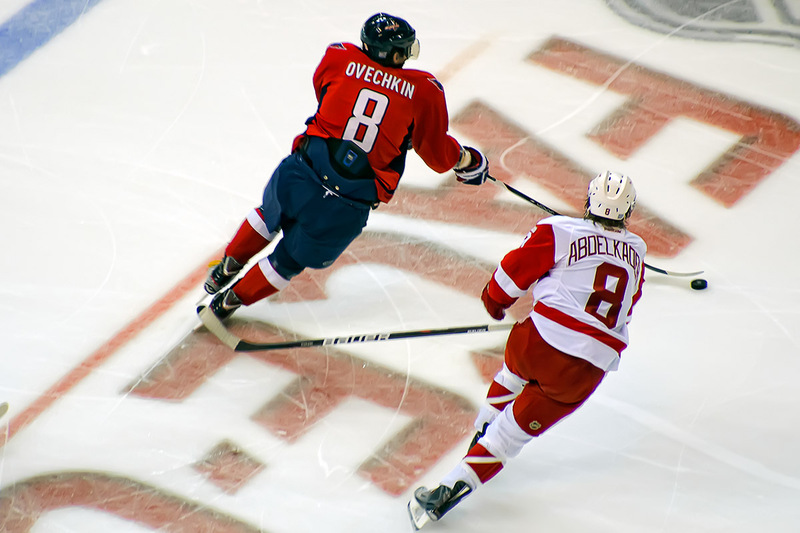 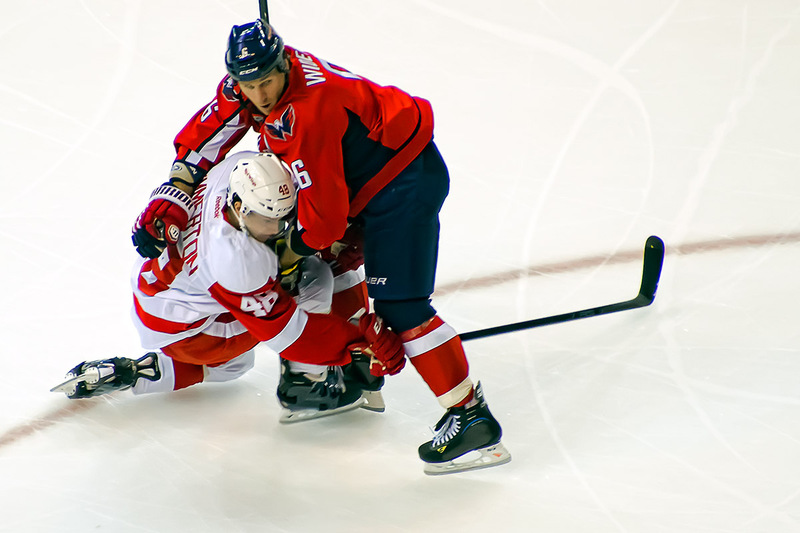 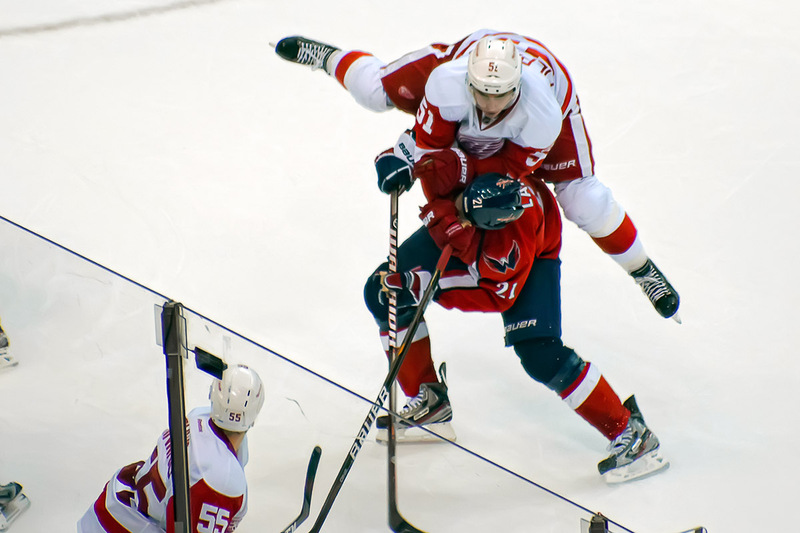 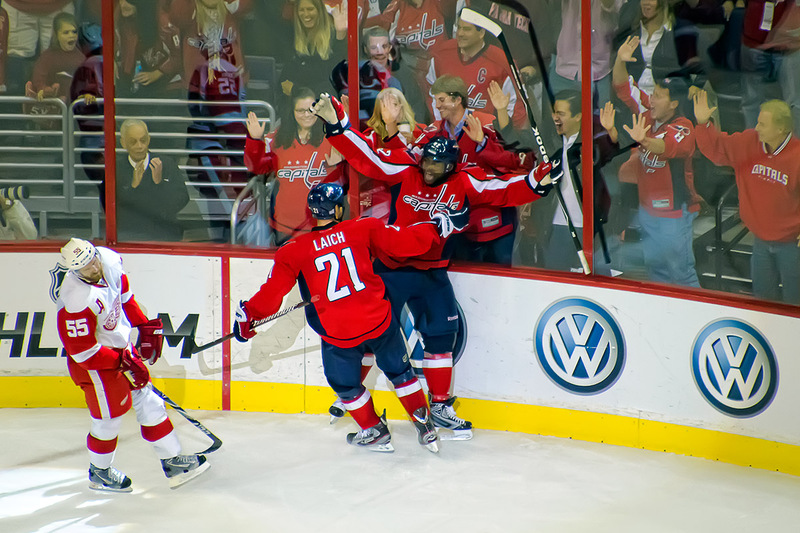 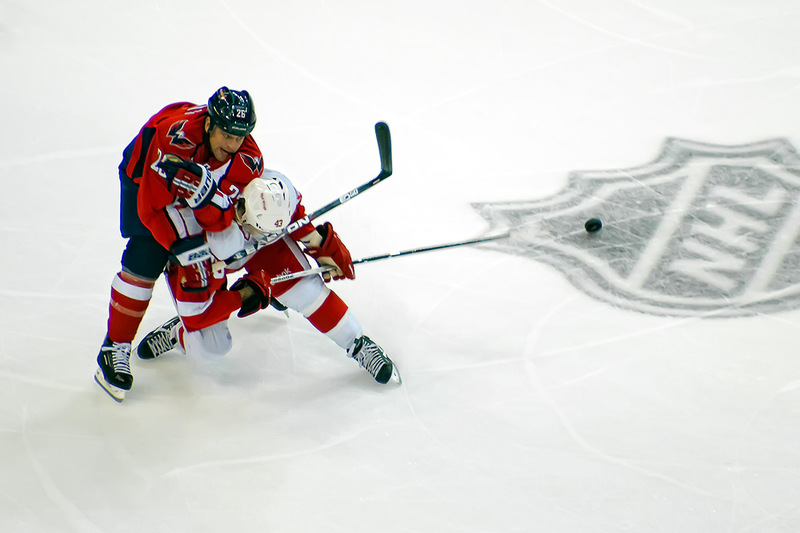 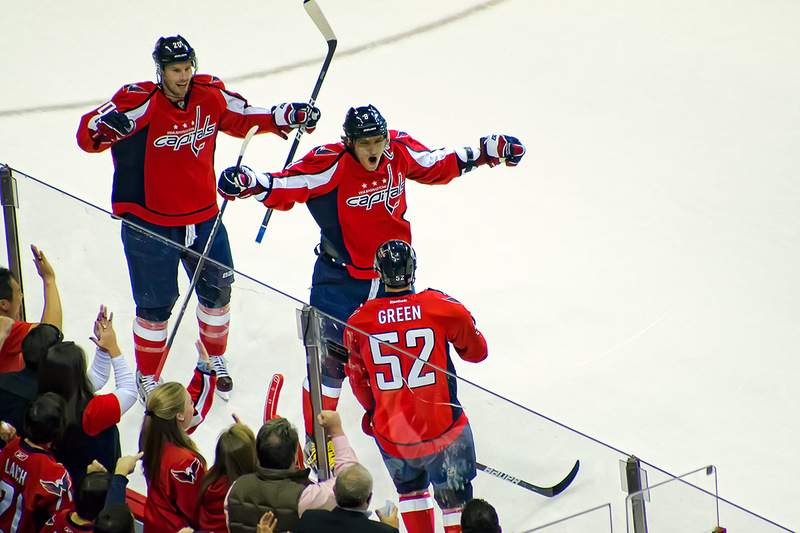 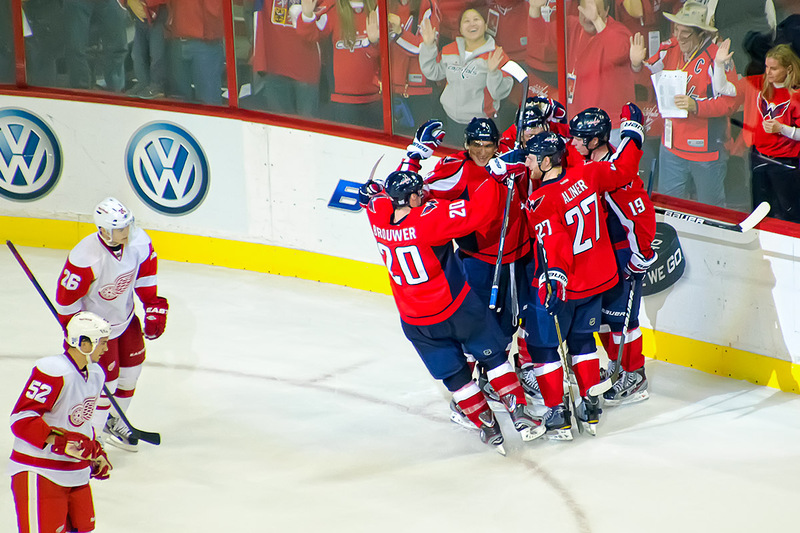 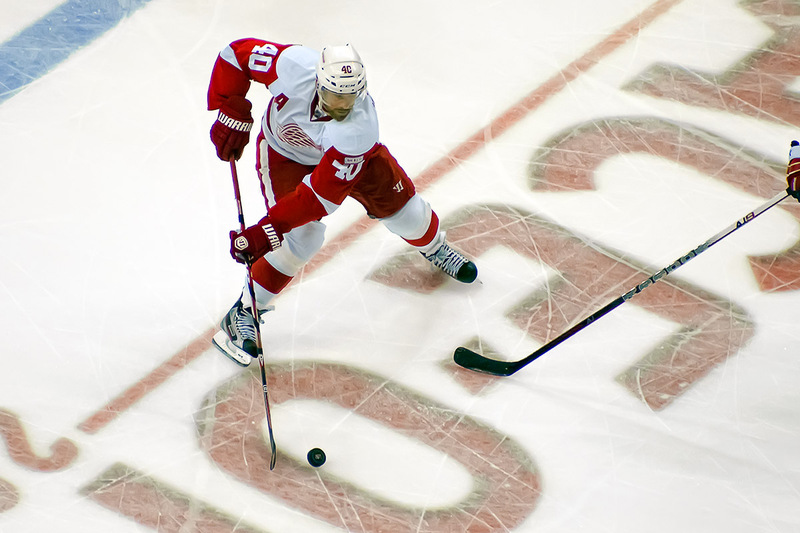 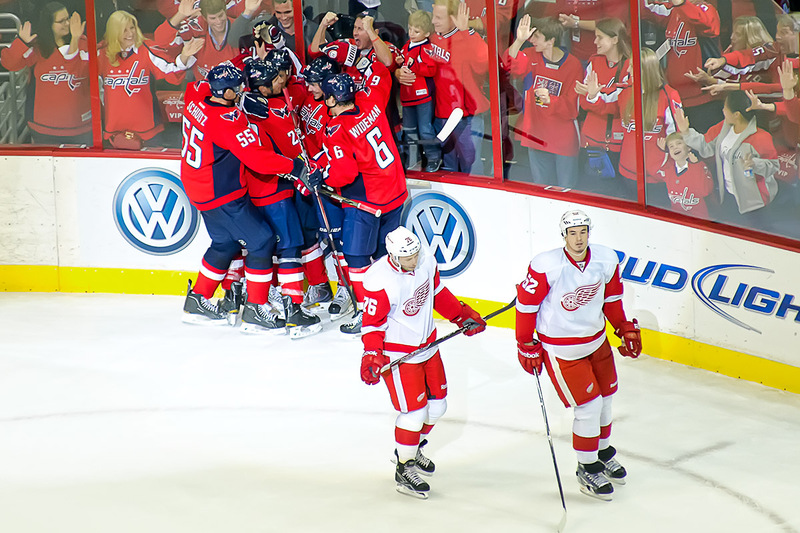 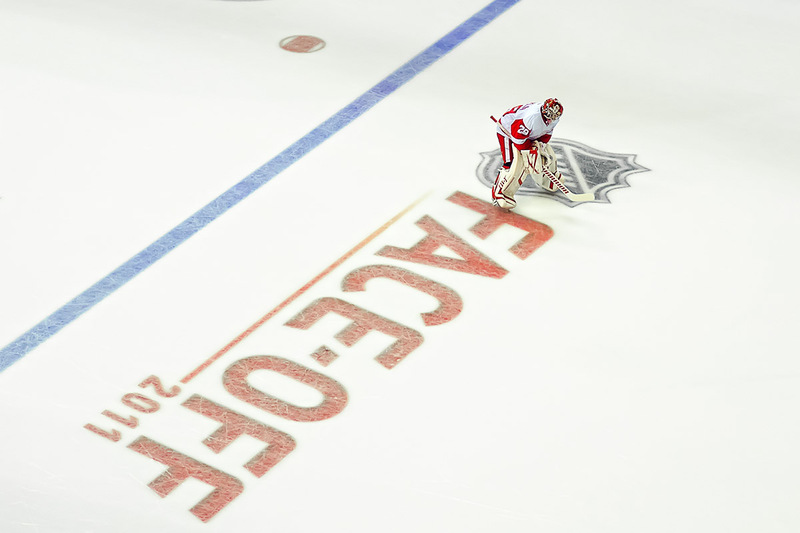 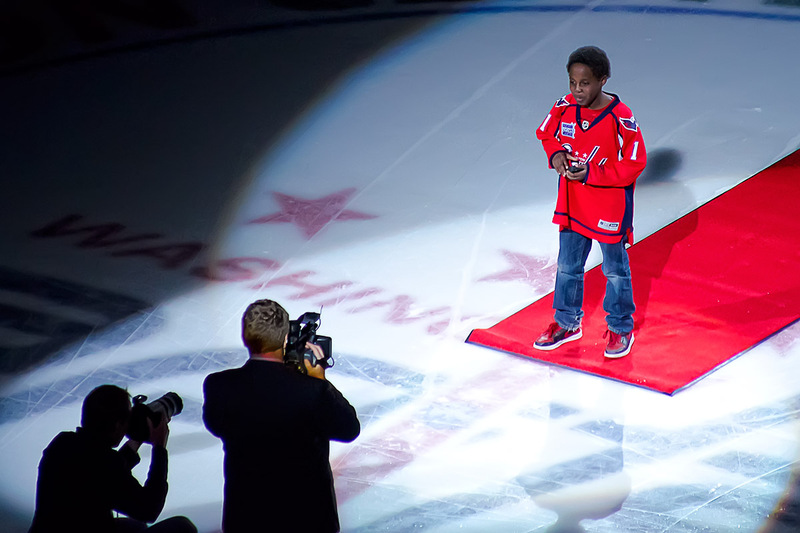 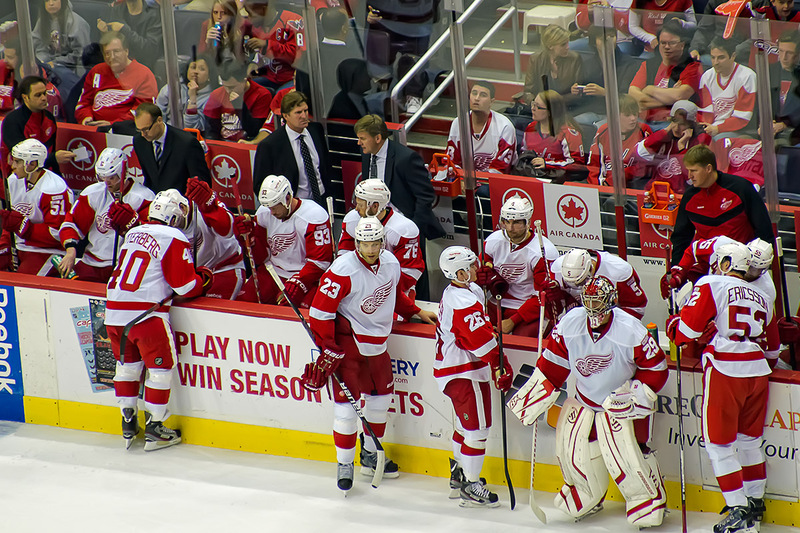 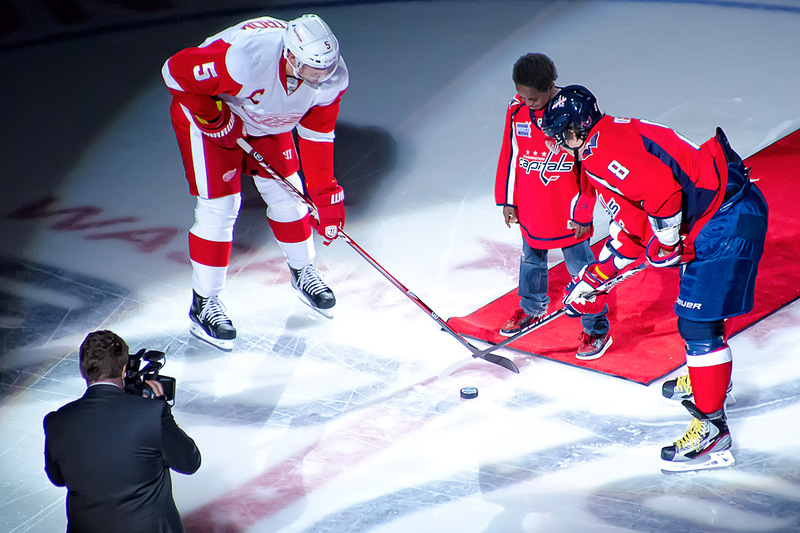 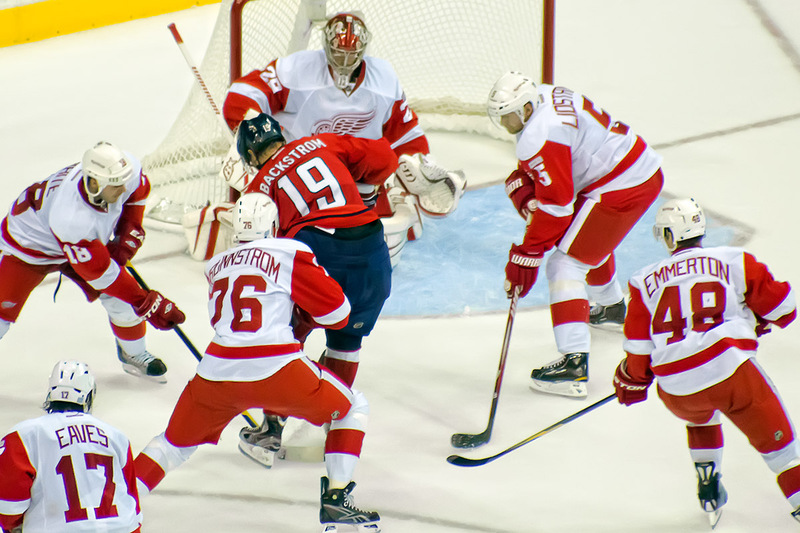 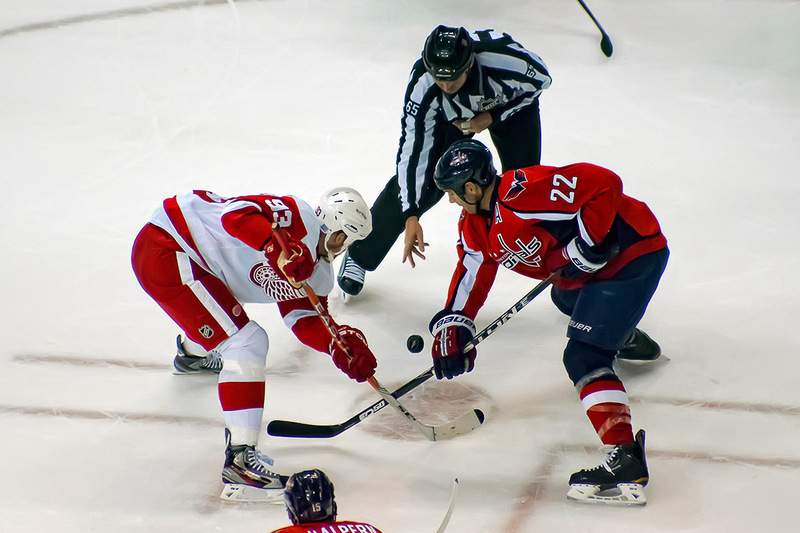 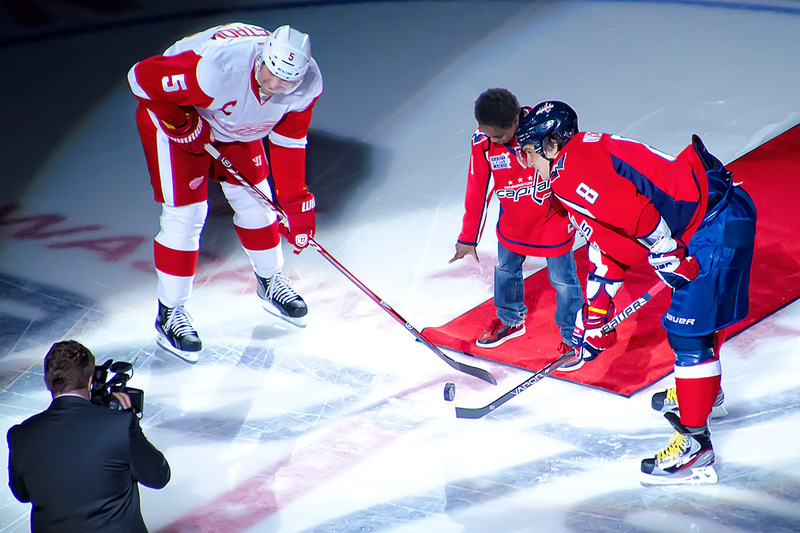 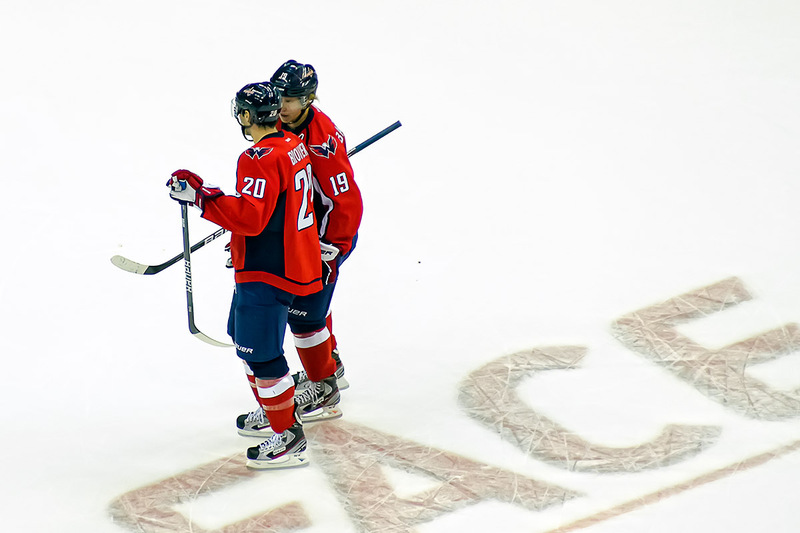 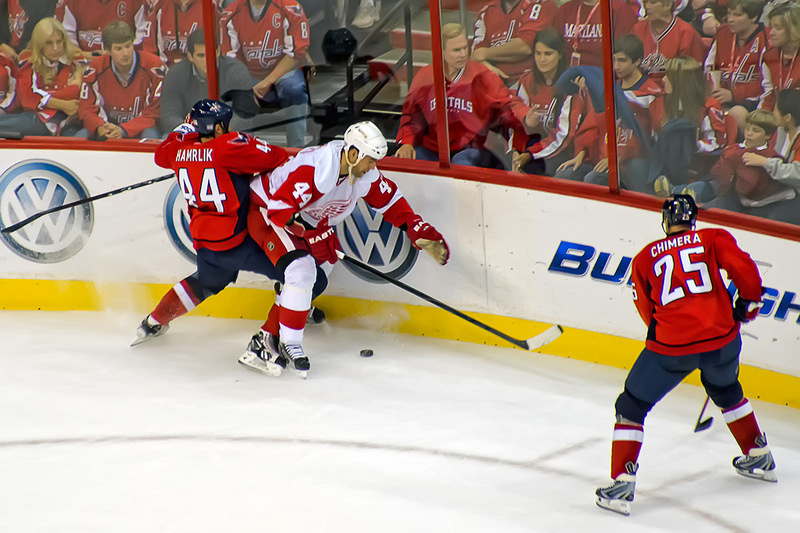 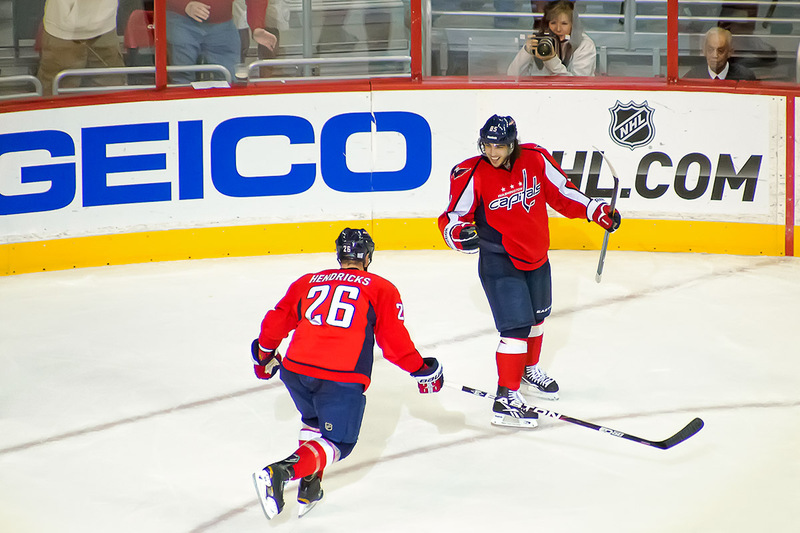 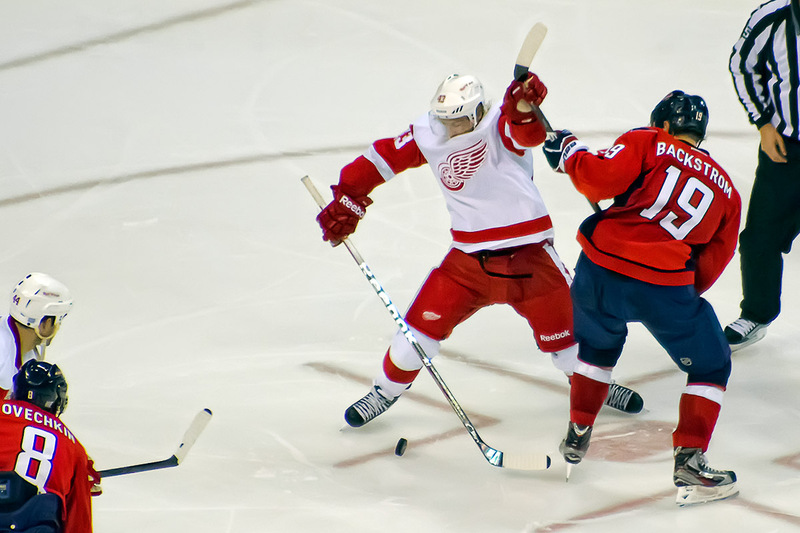 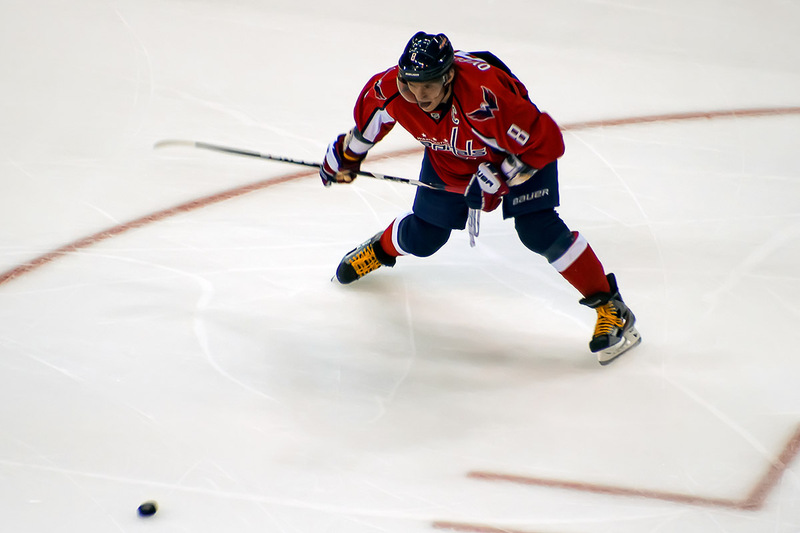 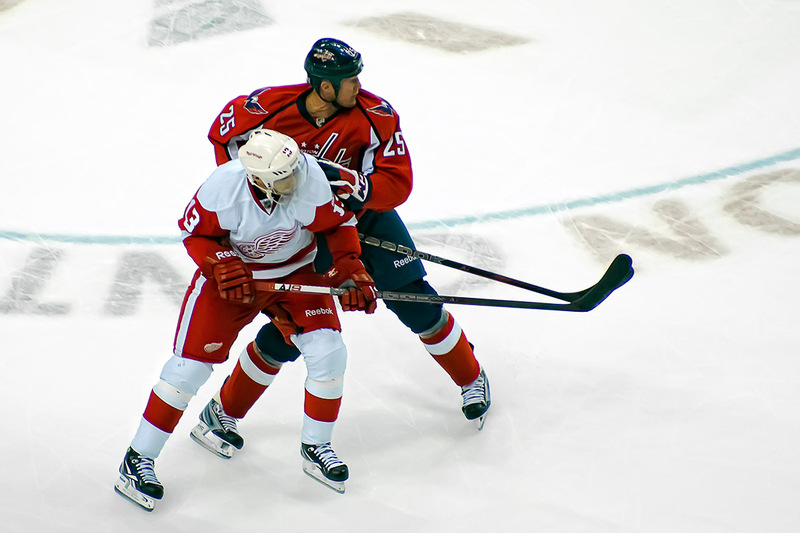 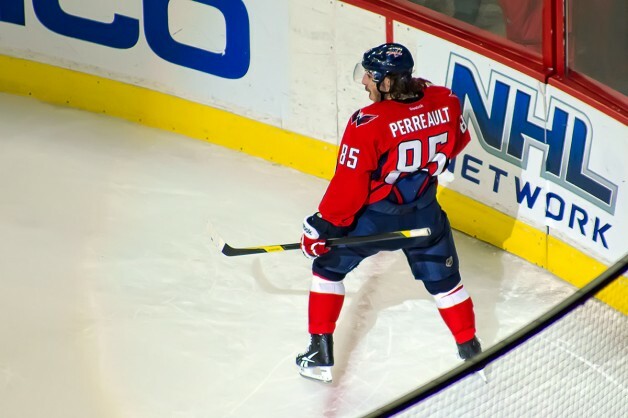 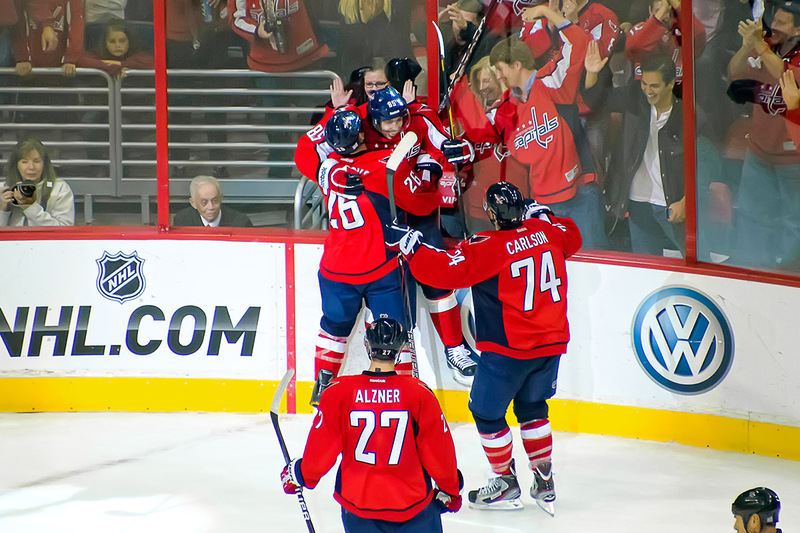 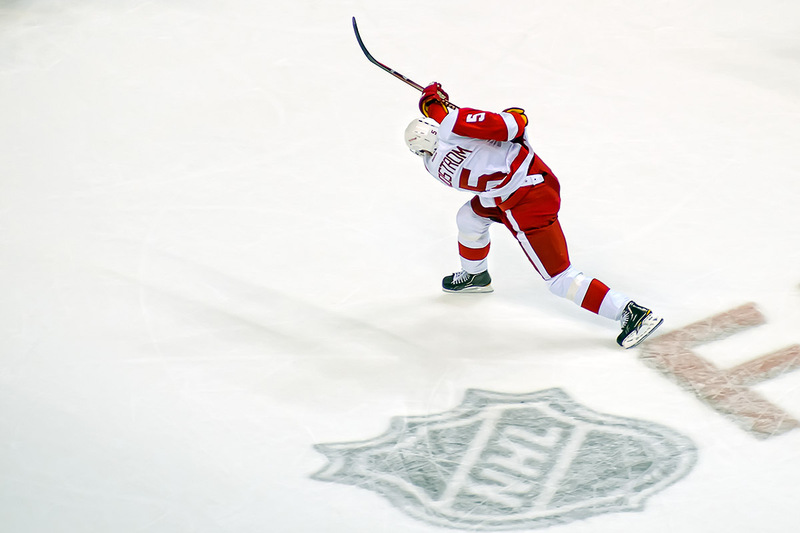 The Washington Capitals and Detroit Red Wings came into last night’s game as the last two remaining undefeated teams of the young 2011-12 NHL season. 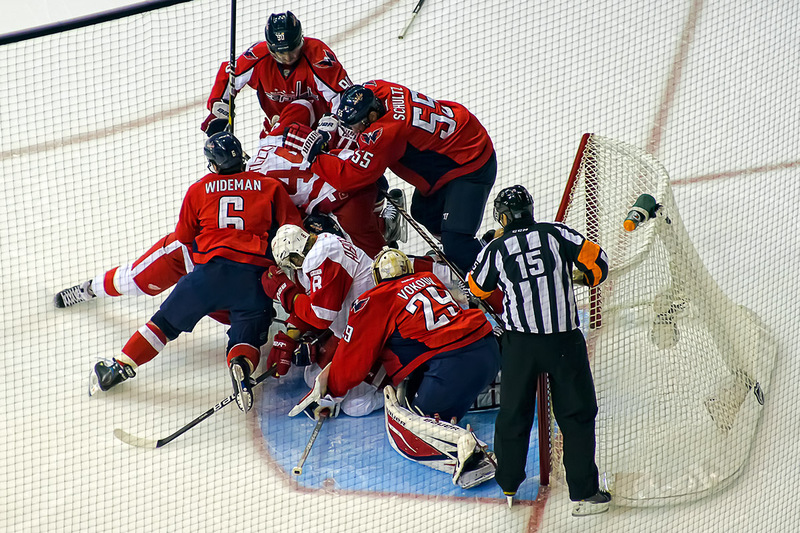 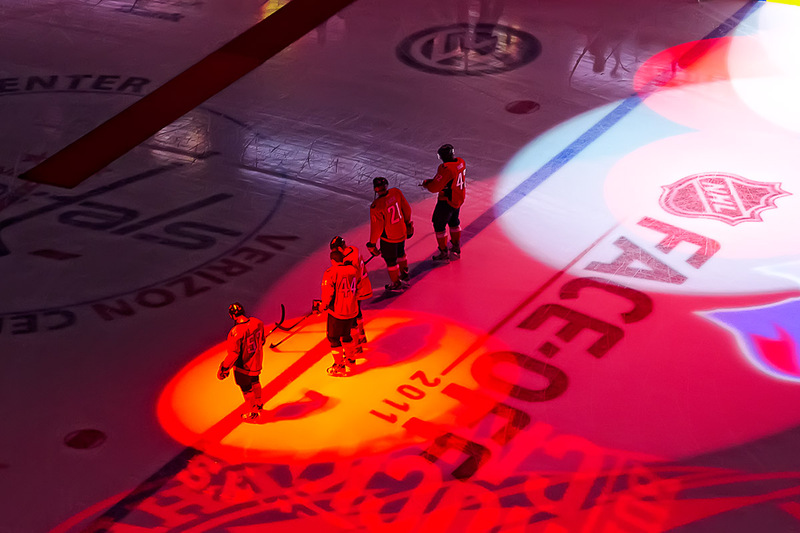 As they often have in past regular season games, they rose to the challenge on the scoreboard if not complete play on the ice. 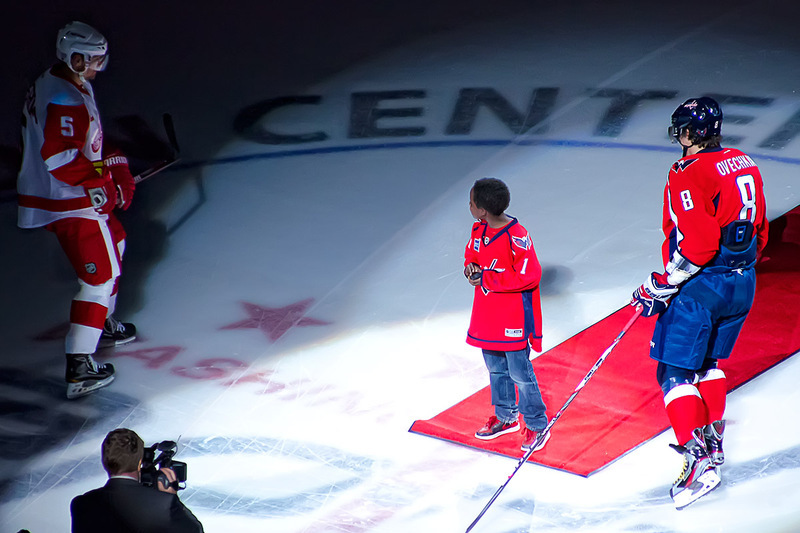 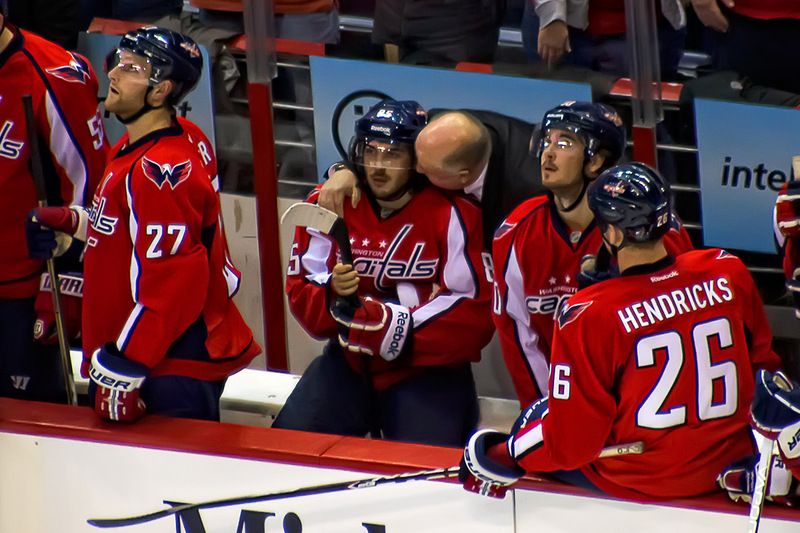 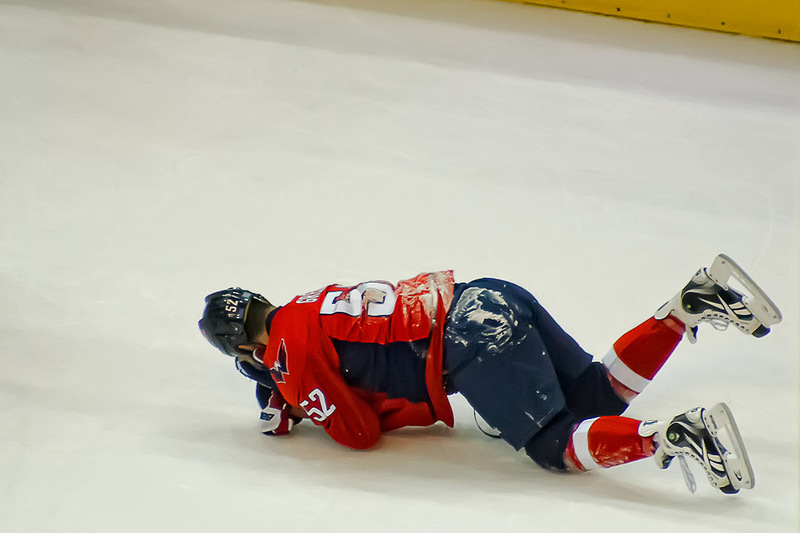 Although defenseman Mike Green was named the first star of the game for his four points and puck to the face, it was goalie Tomas Vokoun that made it look easy, stopping 32 of 33 shots. 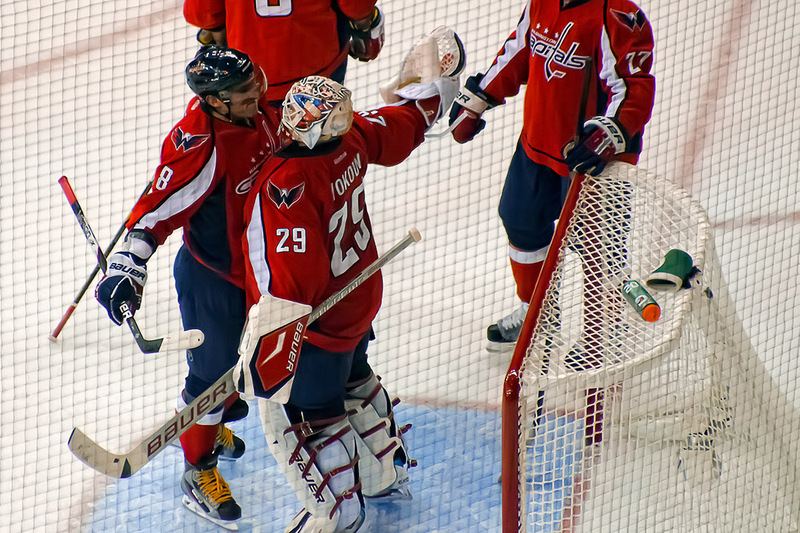 When a team scores on 28% of its shots, a goalie doesn’t have to be spectacular, but Vokoun certainly was. 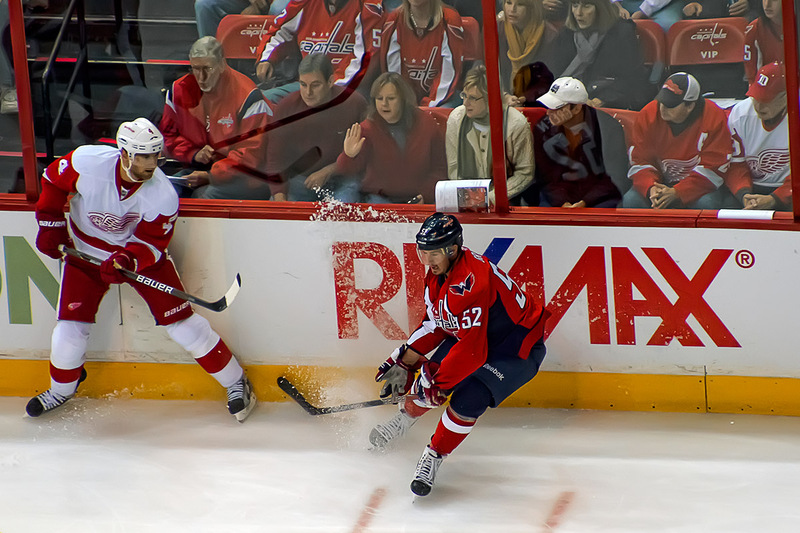 Oh no, you don’t want to read about the game here, you want to go to the regular places like On Frozen Blog, Japer’s Rink, Russian Machine, District Sports Page and so on. 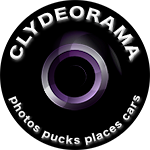 You come here to look at pictures and I have some here and on flickr.